Canberra Window Installations can supply and install all types of windows and doors including uPVC, Aluminium, Timber, double and single glazed. We are trusted installers for Solace Creations, Just Rite Insulation, Rylock Melbourne, Canberra Aluminium Windows & Doors. Thomas (Director) holds a ACT and NSW builders licence which allows us to perform structural alterations and create new openings, we can also carry out small renovations, decks and pergolas and bathroom renovations. We have been installing windows and doors in Canberra and surrounding regions for over 8 years and have installed thousands of units with hundreds of happy clients. 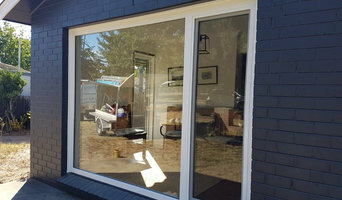 ACT Double Glazed is a locally owned and family run Canberra based business specialising in the supply of Australian manufactured uPVC double glazed windows and doors. 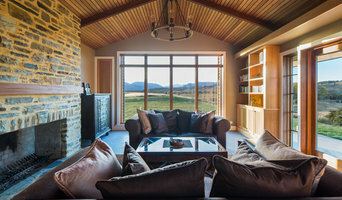 We are Canberra's double glazing specialists and offer a free measure and quote service for new and existing home owners as well as services for Architects, Designers and Builders. We have a full installation service available for both new construction and existing homes using our team of qualified tradespeople. Our tradies have worked in all aspects of residential construction and are trained in the installation of uPVC double glazed windows and doors, so you can rest easy knowing that fully qualified trades people are working on your investment. 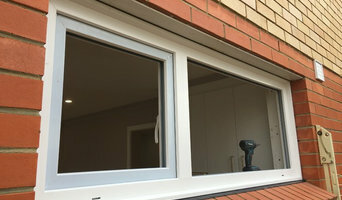 Triple Glazing Australia Pty Ltd. Sustainable, Healthy and Energy Efficient. Triple Glazing Australia ThermalPLUS technology guarantee Higher Energy Ratings which have shown can increase the value of your home by up to 9%. Innovatively designed, expertly built and rigorously tested; our quality is assured,. with We also include A bonus 10 Year Warranty. Rylock Canberra & Snowy Mountains are designers, manufacturers & specifiers of high performance aluminium Thermally Improved windows & glass doors & our factory is located in Albury NSW. From humble beginnings in 1983, Rylock is now represented across a significant area of eastern Australia. Rylock’s extrusion distribution centre is situated at Dingley Village, in Melbourne’s South East. Our staff are highly capable & committed professionals, focused on supplying custom window & door solutions. Rylock has received a number of Australian Design Awards & were awarded the Master Builder Association’s National Energy Efficiency Award for Building Materials. Our architecturally inspired windows are typically supplied with double glazing for increased energy efficiency. Rylock products are developed internally, tested rigorously & crafted locally. A focus on Australian conditions has helped Rylock windows become the preferred product for discerning architects, builders & homeowners in Australia. We are extremely proud of Rylock’s reputation & will continue to strive in furthering product performance, service & value for our customers. There are times when the users confront hassles in using some Apple products. It is strongly advised to get the solution by getting in touch with the experts at Apple Mac Book Pro care 1800875318. There is special provision of technical support for Apple Products for Australia users. You can connect with the technical executives at any hour of the day. Solace Creations Double Glazing offers a unique service in Canberra. We are a bit like a mortgage broker that sources the best mortgage for you. However, we source the best energy efficient windows and doors for you. 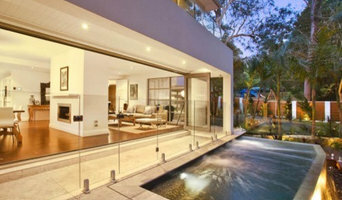 We have a selection of fabulous suppliers that provide us with quality Australian made double glazed windows and doors. Our extensive range of suppliers means that we can find the best match for your home. We do the running around on your behalf to find the best deal and look after every part of the process right through to installation and after sales service. As we are based in Fyshwick, you can pop in to see us if you and chat about how we can help you with your double glazing. You can't do that with interstate companies. Since 2006, we have installed thousands of windows and doors, with a sound reputation for excellent service. We are passionate about energy efficient windows and doors and our aim is for every home to have at least double glazing installed. Solace Creations Double Glazing is a Canberra owned business and with this you get the wonderful local service. We have several teams of builders with years of experience installing windows that we contract to replace and install your windows and doors. We also work with your builder to get the best outcome possible for new homes and extensions. All of our windows and doors are made in Australia which is very important. By buying Australian made windows and doors, you can be guaranteed that they meet the Australian Standard and the harsh Australian conditions. Anthony, Managing Director and Founder of National Capital Glass Pty Ltd began his apprenticeship in 1984 with a well-known national company. Anthony’s abilities were recognised in 1987 when he was awarded the ACT Apprentice of the year, his apprenticeship was also reduced therefore becoming a tradesperson in the same year. Over 22 Years, Anthony advanced within the same company, from tradesperson through to ACT Branch Manager before making the decision to leave and form National Capital Glass. On hand to Help no Matter how Big or Small the Job With a wealth of knowledge and over 29 years of combined experience in the glass industry, NCG now provides friendly superior service, quality installation and workmanship to all customers. Whether it is a small job you have, or a large one, National Capital Glass is on hand to provide professional friendly help. We are experienced installers of high quality windows, doors, conservatories and conservatory roof conversions. Whether you’re looking for a new front door, a beautiful conservatory or a houseful of replacement windows. Window specialists can recommend the most suitable type of window for your home, whether louvre, leadlight or sash, and will advise on the best positioning for style, function and energy efficiency. They can also survey existing windows for rot, improper sealing, worn hinges, and foggy double-pane glass, and will tell you whether or not a window replacement or upgrade will be necessary. The professionals in this category are also knowledgeable in sliding doors, bifold doors, French doors and other paned portals. Your window specialist may also work closely with Canberra, Australian Capital Territory builders and architects. Here are some related professionals and vendors to complement the work of windows: Shutters, Blinds & Curtains, Building Project Managers, Home Builders, Specialty Contractors, Cladding & Exteriors. Find a window professional on Houzz. Narrow your search in the Professionals section of the website to Canberra, Australian Capital Territory Windows. You can also look through Photos to find examples of windows you like, then contact the professional who is responsible for them.